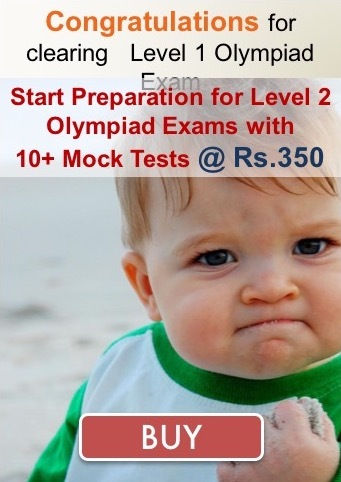 Our preparation platform helps in Olympiad exam excellence through comprehensive practice and mock test papers. It consists of more than 3,00,000 questions, provides extensive practice to students to handle difficult and tricky questions that come in various Olympiads. Moreover, you receive continuous feedback of your child's performance. It's an initiative by graduates from Indian Institute of Technology (IITs) and top universities in US to create personalised and in-depth online learning experience. I can’t praise Olympiad Success enough for their efforts. I loved the website. I thank Olympiad Success for the very prompt and quick service in providing the material and other details. Quality of questions is excellent. I think that this is perfect for those who are preparing for Olympiads. I can’t praise Olympiad Success enough for their efforts. Thank you! My son Lohitaksha Selvakumar is studying in Dhee Global School Bengaluru - Class 3. Olympiad Success is very helpful in preparing and developing the skills required for final Olympiad exams. Thank you Olympiad Success. ...were a great help in winning gold medal in IMO. Thank you Olympiad Success! I wouldn't have cleared Level 1 if there was no Olympiad Success. The practice questions provided in the mock tests were very useful. I, Sanjeev Kumar, parents of Saumya Samridhi give big thanks to your team for kind support and very useful material for grooming through such type of platform. My daughter has completed Level 1 exam in IEO & NSO exams for class IV. Olympiad Success has been the pillar of my practice. I wouldn't have cleared level 1 if there was no Olympiad Success. By the grace of Almighty, blessings of my elders and constant guidance from Olympiad Success, I have qualified for Level 2 SOF Olympiads IEO, NSO and IMO. The weekend tests are really helpful for all the Olympiad exams. I am using the mock tests for Level 2 English exams currently and finding it so helpful for my Level 2 preparation. I would suggest everyone to practice from Olympiad Success. I got Gold medal in IGKO and am very happy to share with all of you. Olympiad Success is a very good website for Olympiad training. Chapter-wise & mock tests helped me to clear my concept. I like this website. It gives knowledge and it also improves our thinking skills. Many many thanks to Olympiad Success! Chapter-wise & mock tests helped me to clear my concepts and were a great help in winning gold medal in NSO, NCO, IMO. Thanks a ton to Olympiad Success! Olympiad Success provided a lot of practice for the Cyber Olympiad exams. The questions provided were chapter-wise and covered the entire syllabus. The best part was the mock test papers which prepared me for the actual exam. Olympiad Success is a very good website for Olympiad training. Mock Test practice papers helped me a lot when I was practicing for my Olympiads. My daughter is studying in DPS Bangalore - Class 3. Olympiad Success is very helpful in preparing and developing skills required for final Olympiad exams. Thank you Olympiad Success. I thank Olympiad Success for the very prompt and quick service in providing the material and other details. I love studying for Olympiads, participating in Olympiads gives me a thrill. Thank you! I loved the website. It was so easy to glide through unlike other complicated ones. It has just the right amount of information. I got all the relevant material easily. I can’t praise Olympiad Success enough for their efforts. It reaches students that I teach every day. They are the pioneers of the program that brings learning to my students. Quality of questions is excellent. I think that this is perfect for those who are preparing for Olympiads, NSTSE exam, etc. Great work. Best wishes to the team!